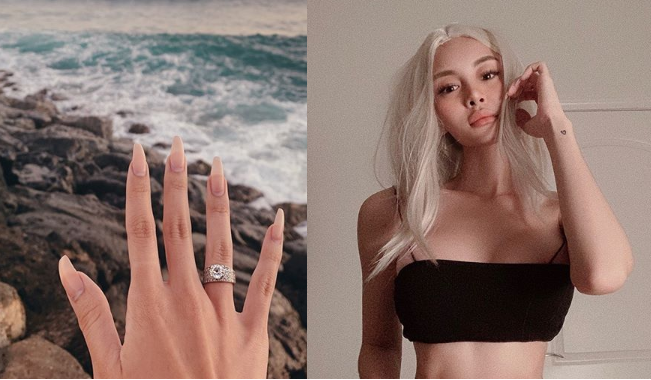 James Reid ex-girlfriend Ericka Villongco has dropped an announcement on her Instagram story that she is engaged with her boyfriend Ross. She posted a photo of a diamond ring with a caption, "! said yes to my greatest & last love @yonosauve, I love you so much baby!!" To her delight she also posted some details of her dream wedding that would take place in the Philippines. 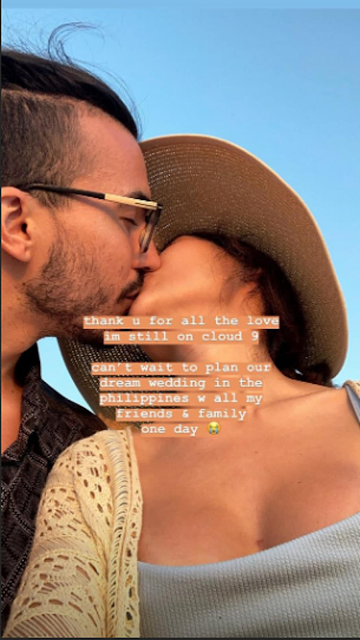 "can't wait to plan our dream wedding in the philippines w all my friends & family one day with a crying emoji," Ericka wrote in an Instagram post. It can be recalled that Ericka took an internet attention after calling Nadine Lustre a copycat.